Sleep problems unfortunately are becoming a bigger issue in our society. Some people who have sleep disorders are not even aware that there is a problem. Here are some of the symptoms you can have when you don’t get the five levels of sleep at night that you should. Myth 1: Getting just one hour less sleep per night won’t affect your daytime functioning.You may not be noticeably sleepy during the day, but losing even one hour of sleep can affect your ability to think properly and respond quickly. 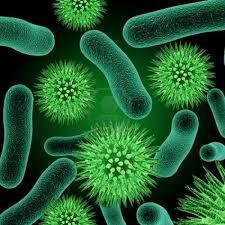 It also compromises your cardiovascular health, energy balance, and ability to fight infections. Myth 2: Your body adjusts quickly to different sleep schedules. Most people can reset their biological clock, but only by appropriately timed cues—and even then, by one or two hours per day at best. Consequently, it can take more than a week to adjust after traveling across several time zones or switching to the night shift. Myth 3: Extra sleep at night can cure you of problems with excessive daytime fatigue. The quantity of sleep you get is important, sure, but it’s the quality of your sleep that you really have to pay attention to. Some people sleep eight or nine hours a night but don’t feel well rested when they wake up because the quality of their sleep is poor. The good news is that you don’t have to choose between health and productivity. As you start getting the sleep you need, your energy and efficiency will go up. In fact, you’re likely to find that you actually get more done during the day than when you were skimping on shuteye. Your temperature naturally dips at night, starting two hours before sleep and bottoming out at 4 a.m. or 5 a.m., according to a 1997 study conducted by New York Hospital-Cornell Medical Center in White Plains, N.Y. When you soak in a hot tub, your temperature rises—and the rapid cool-down period immediately afterward relaxes you. Two hours before bed, soak in the tub for 20 or 30 minutes, recommends Joyce Walsleben, PhD, associate professor at New York University School of Medicine. “If you raise your temperature a degree or two with a bath, the steeper drop at bedtime is more likely to put you in a deep sleep,” she says. A shower is less effective but can work, as well. You can help your body recognize that bedtime is imminent by setting routines and repeating them every night. Skipping your normal cup of joe should help you fall asleep quicker, because caffeine is a stimulant. “I don’t like people having caffeine after noontime if they have poor sleep, because it can hang out in the system for a long time,” says Walsleben. Even decaf drinkers should beware: A 2007 Consumer Reports study found that even decaffeinated coffees sold at several chain restaurants contained caffeine, with one from a big chain having 32 milligrams of caffeine per cup—about the same amount as in 12 ounces of cola. Nicotine is also a stimulant; smoking to relax before bed can actually do the opposite, revving up your heart rate and keeping your brain alert, says Walsleben. You may find it relaxing to catch up on correspondence with friends just before turning in for the night, but the practice could increase the amount of time you toss and turn. Lit screens (that includes televisions too) are stimulating, says Walsleben, so it’s best to avoid them. If cold feet are keeping you awake—especially during the winter—warm them up with a soft pair of socks. The extra layer under the covers can help improve circulation in your extremities, which can help you fall asleep more quickly, according to Phyllis Zee, MD, PhD, professor at Northwestern University’s Feinberg School of Medicine in Chicago. A large meal or spicy snack too close to bedtime can leave your digestive system working overtime while the rest of your body lies awake. And alcohol may make you drowsy, but it will disrupt your sleep patterns later in the night and keep you from getting the deep, restorative REM sleep you need to feel refreshed. If you have trouble sleeping, avoid naps, especially in the afternoon. Power napping may help you get through the day, but if you find that you can’t fall asleep at bedtime, eliminating even short catnaps may help. Addressing sleep disorders through nutrition can be very effective. When we address nutrition it’s important to have an underlying diet that helps balance your chemistry. We utilize the body type system in determining the ratio of fats, carbohydrates and protein that your body needs. 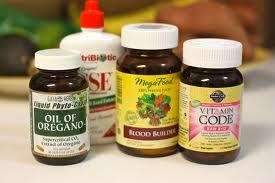 So besides eating the diet that’s correct for your body type the following nutritional supplements can be very helpful. We offer reflex testing that can help individualize a nutritional program as well as lab work can be employed to have a better understanding of your chemistry. Magnesium is a sleep booster, Plus, by taking magnesium, you cancel out any potential heart problems . If you’ve suffered anxiety, headaches, or muscle or joint pain, you might already be familiar with wild lettuce. It’s also effective at calming restlessness and reducing anxiety—and may even quell restless legs syndrome. 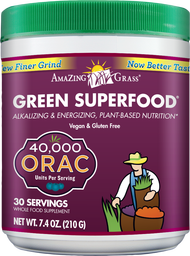 When using a wild-lettuce supplement, take 30 to 120 milligrams before bed. Beer fans will no doubt be familiar with the calming effect of hops, the female flowers used in beer making. For sleep purposes, though, this extract has been widely used as a mild sedative for anxiety and insomnia. Take 30 to 120 milligrams before climbing under the covers. Lavender is the trick here, as studies have proven that it aids in sleep. It’s also a cheap, nontoxic way to slip into a peaceful slumber. Find a spray with real lavender and spritz it on your pillow before bedtime. 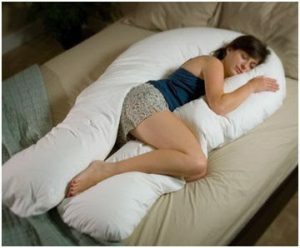 Or buy a lavender-filled pillow. Close your eyes and, for 5 to 10 minutes, pay attention to nothing but your breathing. This medicinal herb has been used to treat sleep problems since ancient times. “Valerian can be sedating and may help you fall asleep,” says Tracey Marks, MD, an Atlanta-based psychiatrist. 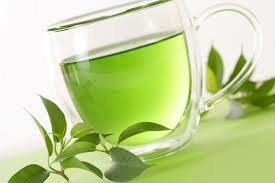 This amino acid found in green tea leaves may help combat anxiety that interferes with sleep. A 2007 study showed that L-theanine reduced heart rate and immune responses to stress. It’s thought to work by boosting the amount of a feel-good hormone your body makes. It also induces brain waves linked to relaxation. Talk to your doctor before taking it. Put other appliances to bed, too. If you want a good, restful sleep, turn your appliances away from your bed. Or better yet, turn them off altogether. If you must use bedroom electronics, choose those illuminated with red light, which is better for sleep than blue light. Give it up. If you don’t fall asleep within 30 minutes, sleep specialists recommend you get up and leave your bedroom or read. Then return to your bed to sleep when you feel tired again. They helped calm you down, bananas contain tryptophan, and potassium and magnesium as well, which are muscle relaxants. Have one a half-an-hour before bed every night and up your magnesium levels while simultaneously relaxing your muscles. Melatonin is the hormone that controls sleep, so it’s no wonder that it naturally induces sleep. Although some experts recommend taking higher doses, studies show that lower doses are more effective. Plus, there’s concern that too-high doses could cause toxicity as well as raise the risk of depression or infertility. Take 0.3 to 0.5 milligrams before bed. Late in the evening, your body releases the chemical melatonin, which makes you sleepy—but only if it receives the right cues from your environment. “Melatonin is your hormone of darkness—it won’t flow with the lights on,” says Walsleben. “You want to transition to dark as early as 9 or 10 o’clock.” Sitting in a dimly lit room before getting ready for bed can put you in the right mind-set for sleep. For the best quality of sleep you need to support your neck and back in a way that relaxes the muscles along with spine. The proper sleep position will not only enhance the quality of sleep but will help prevent you from waking up with aches and pains. If you’re someone who tosses and turns a lot at night you might benefit from a supplement called niacin. A time-released niacin tablet can keep your blood flowing in a way to make your muscles more relaxed and less likely to develop pressure points that require you to turn over. Stomach sleeping is the worst position that you can sleep in because you have to turn your neck all night to breathe and it stresses your low back. Side sleeping with the appropriate pillow thickness under your head to keep your neck and spine and align in keeping something you between your knees or for your bent knee a rest on it is important. For back sleeping support your neck not your head and consider a pillow under your knees. 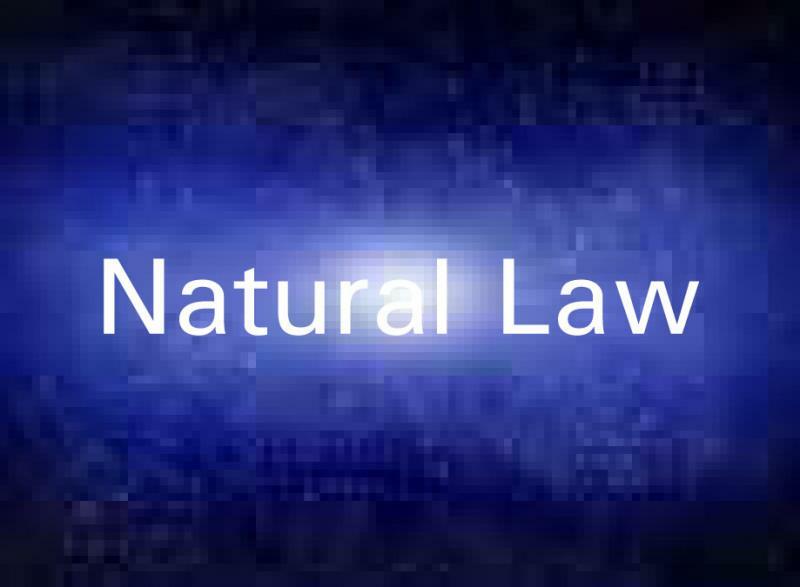 Most people today realize the importance of natural laws like proper diet and nutrition when it comes to good health. It was only about 45 to 50 years ago that even medical doctors weren’t so sure about that. I remember watching a debate between a cardiologist and a lay nutritional expert arguing about the importance of nutrition for healthy hearts. The cardiologist actually stated that foods are only needed for energy and there was no other nutritional benefit from eating foods. He totally dismissed the importance of vitamins and minerals and he was a doctor. So the fact that laypeople might have confusion about diet is understandable. There are 2 components about nutrition that I would like to speak to. One of those is diet and matching the proper ratio of fats,carbs and proteins to particular genetic makeup. In some ways we’re all the same but in other ways we are different. Our genetic code determines how we utilize certain nutrients. Our body shapes will require different ratios of fats carbohydrates and proteins. So the foundation of proper nutrition is eating the right diet for your particular body type. Nutritional therapy, using supplements to balance body chemistry, is the focus of this discussion. Just like each different body type requires a different ratio of fats carbs and proteins each individual has slightly different demands for certain nutrition. That’s one reason why a multivitamin is completely unable to supply what a given person needs. There are even some studies that show negative effects from taking multivitamins. We only give multivitamins in very specific cases. Our main goal is determining what nutrients are needed in reestablishing a better chemical balance as well as health status. Different things can impact on your demand for nutrients, stress, exercise or the lack of exercise, disease, toxicity and many other factors. As these factors change your nutritional needs will change and so nutritional therapy is a dynamic and ever-changing approach towards health. The idea that you can take 4 or 5 nutrients that are most commonly talked about in the news is not the way to maintain good health. Working with nutritional needs since 1976 I have found that nutritional therapy is quite a dynamic endeavor and one might need to change their program on a regular basis as her body reaches higher levels of function and health. We might pick up a nutrient that you need that you might only take for a week or a month or maybe over a year. Our testing procedures allows us to not only determine what nutrients or nutritional formula that you need but we can also determine how long you need to take that. Many people don’t realize the advancements in nutritional therapy over the past 40 some years. 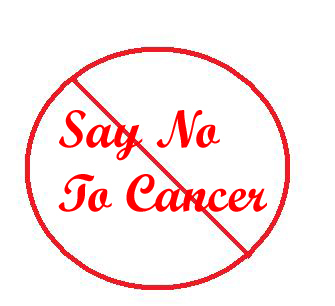 The fact is with today’s knowledge there are very few health issues that can’t be effectively addressed. Acid reflux, cardiovascular disease, different hormonal imbalances, reoccurring infections, allergies and blood sugar disorders are just a few of the conditions that can respond. But the process isn’t as simple as we find a few nutritional formulas and you take those and everything clears up. It’s more complicated than that, because there can be several layers of dysfunction with any given problem. For instance you might have a blood sugar problem that could be related to the liver issue and adrenal gland dysfunction and an immune system disorder. 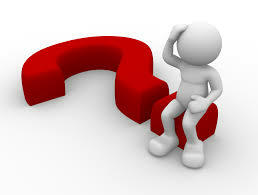 Each of those will need to be addressed and sometimes in a specific order to resolve the original blood sugar problem. So during the process of treating the presenting blood sugar problem is going to be a time when we need to focus on the liver, and then the adrenals and lastly the immune system. Each of those could require separate nutritional approaches at separate times. Sometimes the body can’t address everything at once. So through periodic testing and re-addressing the nutritional program that you’re on full healing can take place over time. When we go about developing an overall strategy to help someone recover their health certain testing might be indicated. A complete physical exam, blood work and other laboratory testing as well as Vega testing. Vega testing is a biofeedback form of testing that allows us to plug into your computer, so to speak, and pick up important information concerning your nutritional needs. Individualizing nutritional programs produce the best results in the long run. Vega testing allows us to individualize an approach and also minimize the number of nutrients needed in an effective program. The most important part of the supplemental program is taking the supplements on a regular enough basis to get well. Some people have expressed difficulty in swallowing pills. There are a few secrets in making this process easier. One of them is taking your supplements with food, if were talking about tablets putting a little bit of butter on the tablet allows it to go down easier. Capsules are the easiest to swallow if you have the right head position. Capsules will float on water where tablets tend to sink. So when you’re swallowing a capsule lean your head forward and if you’re swallowing a tablet lean your head back. It’s best not to combine capsules and tablets if you have any problems swallowing pills. I have found when you’re taking in water right before you swallow the pill breathe in through your nose. This will help close off the windpipe so supplements don’t try to go down the wrong way and will make swallowing pills much easier. 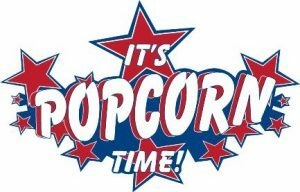 DIET: Popcorn: Good or Not so Good? 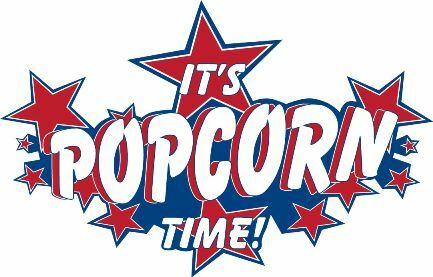 Anthropologists have found evidence that popcorn was part of indigenous diets in Mexico and Peru around 5,000 years ago and the Southwest around 2,500 years ago. Manganese, magnesium, phosphorus, zinc, copper, vitamins B3 and B6 and potassium in popcorn help reduce your risk of heart attack, stroke and atherosclerosis. Fiber and polyphenols are two popcorn ingredients that help make it relatively healthy, as they help fight cancer, type 2 diabetes and many other diseases. While 90 percent of the corn grown in the U.S. is genetically engineered (GE), popcorn is not (yet). Air-popped and with only coconut oil and a little salt, it’s a nourishing snack. It’s the additives that make popcorn potentially toxic. IN THE NEWS: A POTENTIAL LINK BETWEEN CELL PHONE USE AND CANCER – JUNE 5, 2016 Use of cell phones is so deeply associated with our lifestyle that we often forget that these devices were almost nonexistent a decade ago. Therefore, we don’t have much feedback on their potentially harmful effects on health. Cell phones emit radio frequency radiation in very close proximity with our heads and it is still not clear if that radiation may present health issues. Researchers from the National Toxicology Program (NTP) were asked by the US government to investigate this question. They published a preliminary report on their findings on the association between radio frequency exposure through cell phone use and cancer. They exposed groups of 90 rats, separated by gender, to 3 different doses of radio frequency radiations (1.5, 3 and 6 W/Kg) for 9 hours per day, for 2 years. They found a higher incidence of brain (glioblastoma) and heart (Schwannoma) tumours in male rodents exposed to the radiation. Note: Not all people have the same susceptibility, we can test you on your cell phone plus there are phone covers that protect from this type of radiation. CONDITION OF THE WEEK: Great Britain’s Most Outspoken Cardiologist Sets the Record Straight on Saturated Fats Saturated fat and cholesterol have little to do with the development of heart disease. Data shows two-thirds of people admitted to hospitals with acute myocardial infarction have completely normal cholesterol levels. Fats can be harmful, but it’s important to be specific. Fats that contribute to heart disease are primarily trans fats and highly refined and/or heated polyunsaturated vegetable oils (PUFAs), which are high in damaged omega-6. For optimal health, seek to get 75 to 85 percent of your total calories as healthy fat, primarily monosaturated and saturated. Limit PUFAs to 10 percent and omega-6 fats to 5 percent. Note: Chiropractic care and nutritional therapy are the best approaches to prevent heart problems. IN THE NEWS: IN DEFENSE OF ANTIDEPRESSANTS Do antidepressants work? The notion that they don’t—that Prozac, Lexapro and other drugs are little more than placebos with side effects—has become mainstream. “Antidepressant Lift May Be All in Your Head,” a typical headline reads, atop an article citing research from medical journals. With as many as one in eight American adults now taking an antidepressant, the stakes are high. NOTE: interesting article considering the fact that more than one study has shown natural approaches to depression equal to the drug approach and sometimes better, particularly if you’re talking side effects. The drug benefits tend to show up better in severe depression yet that doesn’t mean the natural approach might not be equally as effective. 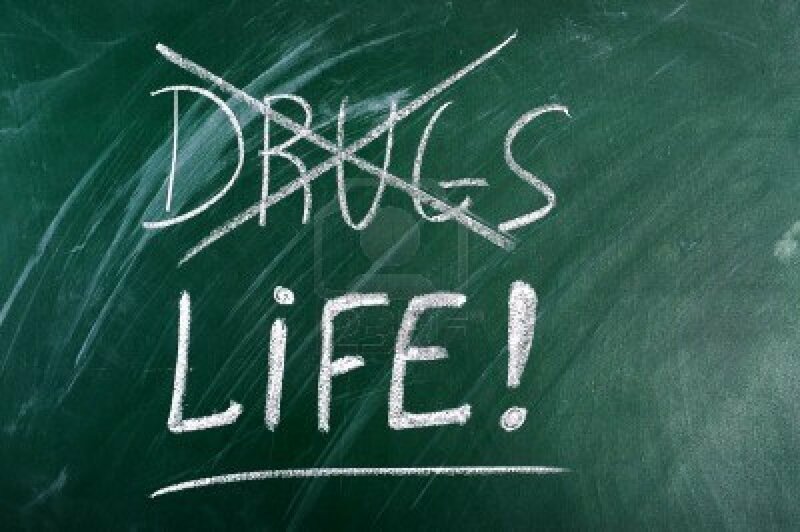 Wisdom would say try a natural approach 1st then if that doesn’t work consider drugs. WELLNESS: Antidepressant Alternatives Proven to Work 1. Cognitive behavioral therapy (CBT) Cognitive Behavioral Therapy seeks to help people change how they think about things. Within 20 sessions of individual therapy, approximately 75 percent of patients experience a significant decrease in their symptoms. 2. St John’s wort St John’s wort (Hypericum perforatum) is commonly used for the treatment of depressionIt can be at least as effective as paroxetine (Paxil) in the treatment of moderate to severe depression in the short term. 3. S-Adenosylmethionine (SAMe) . Several scientific studies indicate that SAMe may be useful in the treatment of depression. 4. Light Therapy Light therapy is an effective treatment for seasonal affective disorder, and it may reduce the symptoms of non-seasonal depression as well. 5. Exercise The antidepressant effect of regular physical exercise is comparable to potent antidepressants like Sertraline. 5. 5-Hydroxytryptophan (5-HTP) The evidence suggests 5-HTP and tryptophan are better than a placebo at alleviating depression. . 6. 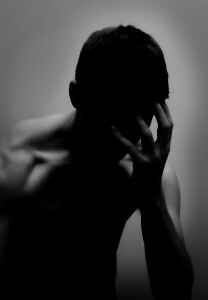 B Vitamins Folic acid deficiency has been noted among people with depression. Vitamin B6, or pyridoxine, is the cofactor for enzymes that convert L-tryptophan to serotonin, so vitamin B6 deficiency might result in depression. And there is some evidence that people with depression respond better to treatment if they have higher levels of vitamin B12. 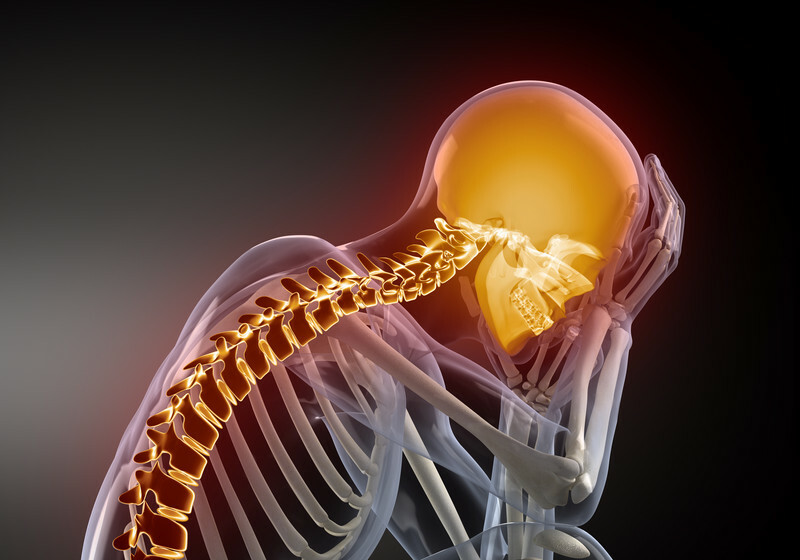 CHIROPRACTIC: Chiropractic Can Help Depression and Anxiety A case study published in the Journal of Upper Cervical Chiropractic Research on June 20, 2013, reports on the results of a case series showing chiropractic helping patients with depression and anxiety. This case series was looking for follow up on previous surveys showing that chiropractic patients felt chiropractic care helped with their mental and emotional states. The authors begin by reporting that a previous study showed that in a survey of 2818 patients who completed chiropractic care, 76% of those patients reported a mental/emotional improvement, as well as positive changes in stress and life enjoyment over a period of several months following the chiropractic care. 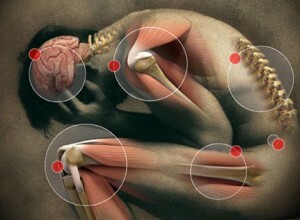 Additional prior studies also showed chiropractic care assisting patients with these types of mental health disorders. Muscle pain that hangs on can be annoying. Be it from an accident, beginning an exercise program or just sleeping in the wrong position, adjustments and trigger point therapy can be quite effective. Sometimes you can have muscle problems due to toxicity and we offer several detox programs to help (Alkalize Detox Green Superfood 1 serving per day). Nutritional deficiencies can also play a part in muscle pain. Magnesium is the most deficient mineral in the American diet and many people need to supplement with magnesium. 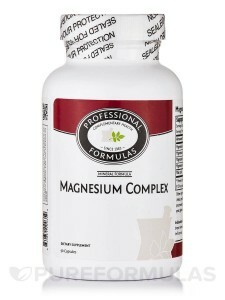 Magnesium Complex (2-4per day). 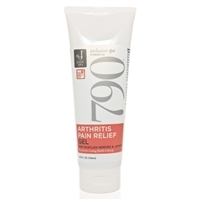 For muscle injuries Pain Relief Cream is extremely effective. Don’t forget to drink enough water because dehydration can lead to muscle problems: your water needs are based on your body weight. 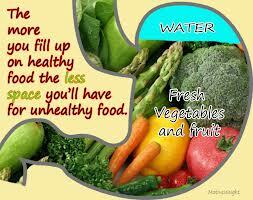 One half of your body weight in ounces is your flushing or cleansing dose, 80% of that is your minimum dose. For instance a 100 pound person, then 50 ounces is a cleansing dose and 40 ounces is the minimum dose per day in fluids. If you have not set up your account at natural partners then go to npscript.com/Keefeclinic and set up an account. There is no charge to set up this account and they do not sell email addresses. Once the account is set up you can order any of their over 9000 products in the comfort of your own home and have them shipped to your door. Note: for period of time you can get free shipping, order today! IN THE NEWS: Study: Scant evidence that medical pot helps many illnesses CHICAGO – Medical marijuana has not been proven to work for many illnesses that state laws have approved it for, according to the first comprehensive analysis of research on its potential benefits. The strongest evidence is for chronic pain and for muscle stiffness in multiple sclerosis, according to the review, which evaluated 79 studies involving more than 6,000 patients. Evidence was weak for many other conditions, including anxiety, sleep disorders, and Tourette’s syndrome and the authors recommend more research. WELLNESS: Certain Heartburn Drugs May Increase Your Risk of Heart Attack Proton pump inhibitors (PPIs) such as Nexium, Prilosec, and Prevacid, are severely overprescribed and misused for heartburn—a condition for which they were not designed. PPIs have been linked to an increased risk for heart attack, even if you have no prior history of cardiovascular disease. Other side effects of PPI drugs include pneumonia, bone loss, hip fractures, and Clostridium difficile infection (a harmful intestinal bacteria). CONDITION OF THE WEEK: EPILEPSY over the past 40 years we have had rewarding results with patients who suffer from epilepsy. This neurological condition can have multiple causes. Alignment issues in the head and neck are key insults to the nervous system that can be behind this condition. But there are also other contributing factors like toxicity, nutritional deficiencies, food and environmental allergies, hormone imbalances and severe drops in blood sugar all can be triggers for epilepsy. If you or someone you know suffers from this condition call and make an appointment. FUNNY BONE: Did you know that dolphins are so smart that within a few weeks of captivity, they can train people to stand on the very edge of the pool and throw them fish? @@ The shinbone is a device for finding furniture in a dark room. @@ Why does someone believe you when you say there are four billion stars, but check when you say the paint is wet? @@ The sole purpose of a child’s middle name, is so he can tell when he’s really in trouble. DIET: Death by Sugar (Sweetened Beverages)? Sugar-sweetened soft drinks, fruit juices and other beverages represent a growing health danger that goes far beyond simple cavities and poor energy; a recent analysis suggests regular consumption of sugary drinks can indirectly lead to death– yes, death. Sound far-fetched? Not really, and here’s why: According to the researchers, who analyzed data from studies investigating the impact of sugar-sweetened beverage intake on body-mass index (BMI) and diabetes – and the resulting impact of BMI on cardiovascular disease and cancer, nearly 200,000 deaths worldwide can be attributed to drinking sugar-sweetened beverages. And that’s nearly 200,000 deaths every year. 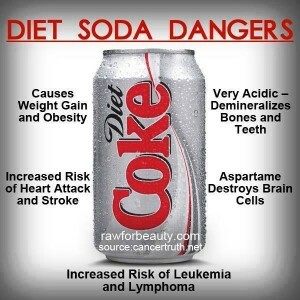 Specifically, the researchers estimated that consumption of sweetened drinks contributes to 133,000 deaths from diabetes, 45,000 from cardiovascular disease, and 6,450 from cancer on an annual basis. IN THE NEWS: Ways Gut Bacteria Affect Your Health A growing body of research suggests that gut bacteria influence weight. One recent study found that obese people have a less diversity in their gut flora than lean people. 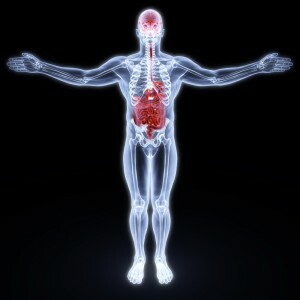 Your gut is the main area in the body where the immune system interacts with what’s brought in from the outside world. Thus, the interaction between gut bacteria and your own cells appear to play an important role in the development of a fully-functioning immune system. Disrupting gut bacteria may have an effect on the brain, and in turn, behavior, studies in animal suggest. If gut bacteria play a role in human behavior, its possible that therapies that aim to restore normal gut flora, such as probiotics, may be helpful in correcting behavior and mood changes in people with gastrointestinal diseases, according to the researchers. Abnormal gut bacteria in infants may be one cause of colic, or excessive crying, recent research suggests. CONDITION OF THE WEEK: Low testosterone may raise depression risk Researchers found that more than half of the men in the study who had lower levels of testosterone had a diagnosis of depression, or showed symptoms of the condition, while a quarter of participants were taking medication for the disease. Analysis showed that the study participants had higher rates of obesity and lower rates of physical activity than their peers in the general population. Participants also suffered from erectile dysfunction, decreased libido, fewer morning erections, low energy and sleep disturbances. 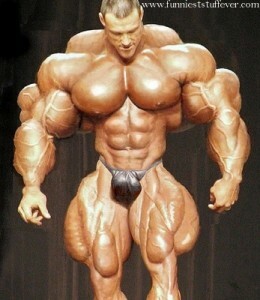 Long-term use of pharmaceutical testosterone can have significant side effects. Ask about a natural approach to testosterone. Dirty air, dirty water, pollution and toxins in our food and environment. We live in the toxic world. But have you heard of dirty electricity. We are surrounded today by electronics and in fact a lot of us carry electronics on our body most of the time. Cell phones, tablet computers and music devices, we live in electromagnetic soup. And for some of us that can mean a significant impact on our health. If you are a electro-hypersensitive person you could be suffering from a host of symptoms and diseases because of that. Just like a person with environmental allergies you could have significant problems with an elevated pollen count, people with electromagnetic sensitivities are surrounded by dirty electricity. If you don’t have allergies and a high pollen count might not affect you, the same goes with dirty electricity though I believe were all affected to some degree because we have electromagnetic systems in our body. 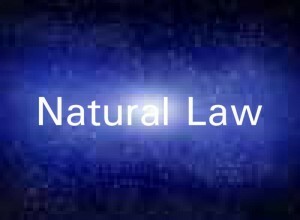 Our brain is electromagnetic marvel and to think all the electromagnetic fields around us don’t have any effect is probably naïve. 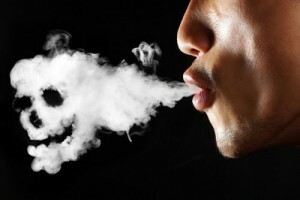 It’s kind of like smoking, not all people who smoke get lung cancer. In a 2006 European study, the risk of developing lung cancer was: 0.2% for men who never smoked (0.4% for women) 5.5% for male former smokers (2.6% in women) 15.9% for current male smokers (9.5% for women) 24.4% for male “heavy smokers” defined as smoking more than 5 cigarettes per day (18.5% for women). Some might get chronic bronchitis, heart disease or increased pain levels. The same goes with dirty electricity here is a list of some of the symptoms that you can have if you electromagnetic sensitive: Neurological: headaches, dizziness, nausea, difficulty concentrating, memory loss, irritability, depression, anxiety, insomnia, fatigue, weakness, tremors, muscle spasms, numbness, tingling, altered reflexes, muscle and joint pain, leg/foot pain, “Flu-like” symptoms, fever. 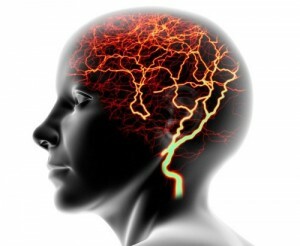 More severe reactions can include seizures, paralysis, psychosis and stroke. Cardiac: palpitations, arrhythmias, pain or pressure in the chest, low or high blood pressure, slow or fast heart rate, shortness of breath. 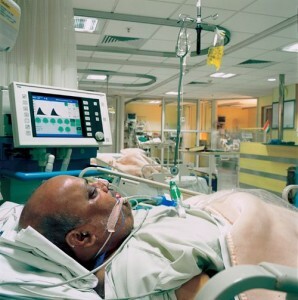 Respiratory: sinusitis, bronchitis, pneumonia, asthma. Dermatological: skin rash, itching, burning, facial flushing. Ophthalmologic: pain or burning in the eyes, pressure in/behind the eyes, deteriorating vision, floaters, cataracts. Others: digestive problems; abdominal pain; enlarged thyroid, testicular/ovarian pain; dryness of lips, tongue, mouth, eyes; great thirst; dehydration; nosebleeds; internal bleeding; altered sugar metabolism; immune abnormalities; redistribution of metals within the body; hair loss; pain in the teeth; deteriorating fillings; impaired sense of smell; ringing in the ears. How does this happen? 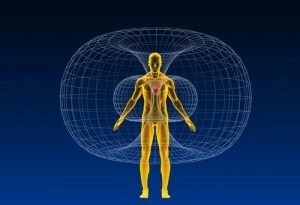 The body is an electrical being. Every cell, tissue, and organ transmits information through tiny electrical currents which are disturbed by these high frequency fields, setting the body up for disease. In,DIRTY ELECTRICITY Dr. Milham discusses the recent proliferation of radio frequency radiation from cell phones and towers, terrestrial antennas, Wi-Fi and Wi-max systems, broadband internet over power lines, and personal electronic equipment and warns of the epidemic of disease and mortality that we may soon face because of these technologies. These technologies, he explains, are creating the 2nd wave of illnesses from electromagnetic fields, the first being from electrification beginning in the early part of the 20th century and only recently discovered thanks to Dr. Milham’s work. 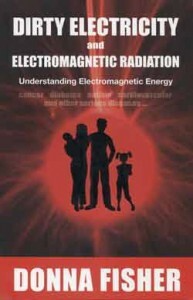 “Sensitivity to electromagnetic radiation is the emerging health problem of the 21st century. It is imperative health practitioners, governments, schools and parents learn more about it. The human health stakes are significant”. Associate Professor, The Experimental Dermatology Unit, Department of Neuroscience, Karolinska Institute, Stockholm, Sweden; Author of the BioInitiative Report’s section on the Immune System. “It is evident that various biological alterations, including immune system modulation, are present in electrohypersensitive persons. There must be an end to the pervasive nonchalance, indifference and lack of heartfelt respect for the plight of these persons. It is clear something serious has happened and is happening. I will give you TWO websites that you can visit for materials to help you reconnect to the Earth’s healthy magnetic field. Any time that you’re in a body of water like an ocean or Lake you will have a grounding experience. Barehanded gardening or walking barefoot can help discharged the dirty electricity and rebalance your body’s electrical system. 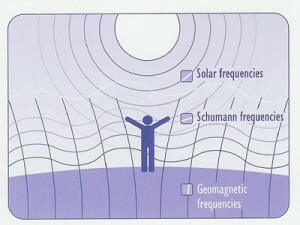 That can be why some people are addicted to gardening OR yard work because it reconnects them to the Earth’s magnetic field. You can sleep on grounded material that you can purchase from: http://www.lessemf.com. http://www.earthing.com . You can have grounding straps on your shoe. 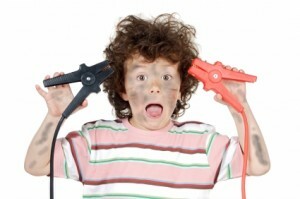 You can insert a grounding stake in your yard and run a grounding wire into your house or you can use a special grounding cord that you plug into an outlet and utilize the ground from your electrical system in the house. 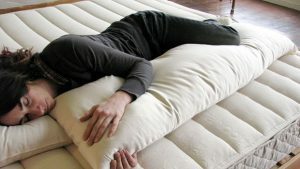 But for individuals that have sleep disorders or issues like anxiety and depression you should definitely consider sleeping with your head on grounding material. For more information on grounding our dirty electricity you can Google those terms and find multiple websites in videos on the subject. When it comes to grounding OR earthing I would suggest you type in electrical grounding to skip over all the esoteric and psyche websites on “spiritual grounding”. 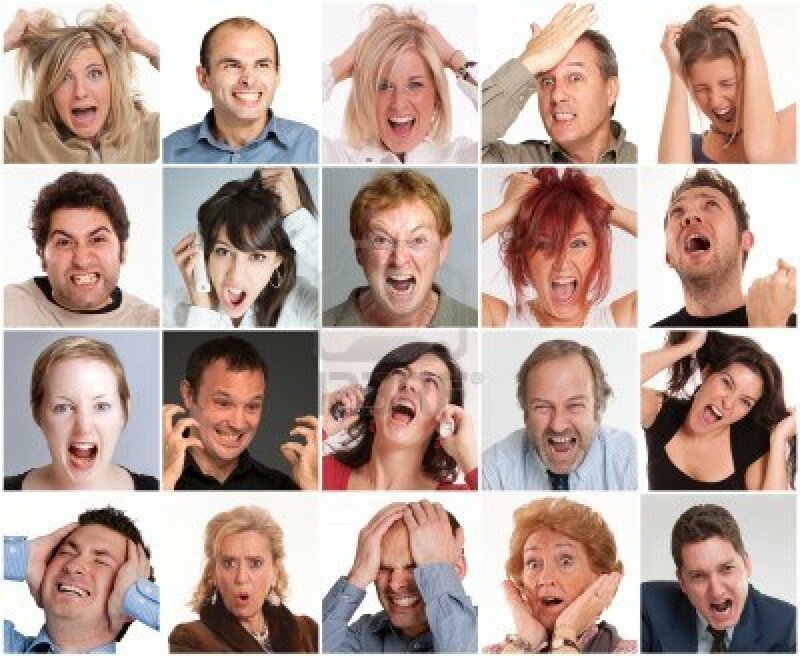 IN THE NEWS: HOW DO PEOPLE SPREAD STRESS TO EACH OTHER? 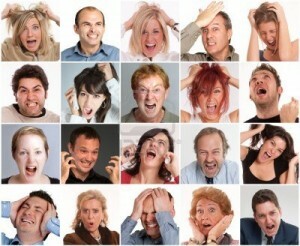 Working with people who are stressed has both physiological and emotional effects. Perspiration produced under emotional strain releases alarm pheromones, or airborne chemical signals. When inhaled by others, these substances activate the amygdala, the region of the brain linked to emotional arousal, according to a 2009 study in PLOS One. Researchers in the study compared 32 subjects’ reactions to sweat collected from people doing their first sky-dive, including a one-minute free fall, with the response to sweat from people running on a treadmill without any emotional strain. Both types of sweat were kept free of bacteria that cause a bad odor, and both smelled the same, but the exercise sweat didn’t cause the same response, the study showed. Another study, published in 2011 by researchers at the State University of New York at Stony Brook, found that inhaling substances from sweat produced under stress causes people to focus more closely on details in others’ facial expressions that might signal a threat. WELLNESS:STUDY REVEALS STATINS NOT VERY EFFECTIVE OR SAFE Statin advocates used a statistical tool called relative risk reduction (RRR) to amplify statins’ trivial beneficial effects. The directors of clinical trials have also minimized the significance of numerous adverse effects of statin treatment. Statin use may stimulate atherosclerosis and heart failure. The money in medicine has led to a tremendous amount of fraud when it comes to research on drugs. Probably 60% of the breakthroughs you hear about on the news are probably fraudulent. This is the truth: statins have not saved any lives, has not extended any lives and has probably led to increased deaths in the heart disease community. Heart disease is not a drug deficiency. Heart disease is a nutritional, neurological and lifestyle disorder. CHIROPRACTIC: NEUROLOGICAL BASES OF HEALTH chiropractic care offers improved regulatory function of the organs, glands and muscles of the body. The nervous system regulates and controls every organ part and system of the body and relates an individual to his or her environment through the five senses. 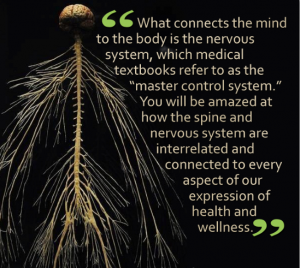 The nervous system regulates the control of function and healing, and when there’s no interference along the channels of communication with the body then your body can function at 100%. 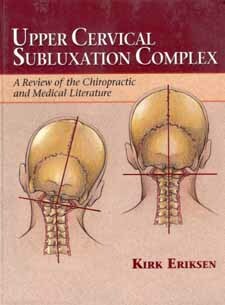 As the adjustments remove nerve pressure then there’s an improvement of function throughout the body. The five laws of health include diet, rest and relaxation, exercise, positive mental and spiritual attitude and last a healthy nervous system. As a chiropractic physician we encourage you to engage in each of these laws to maximize your health potentials. 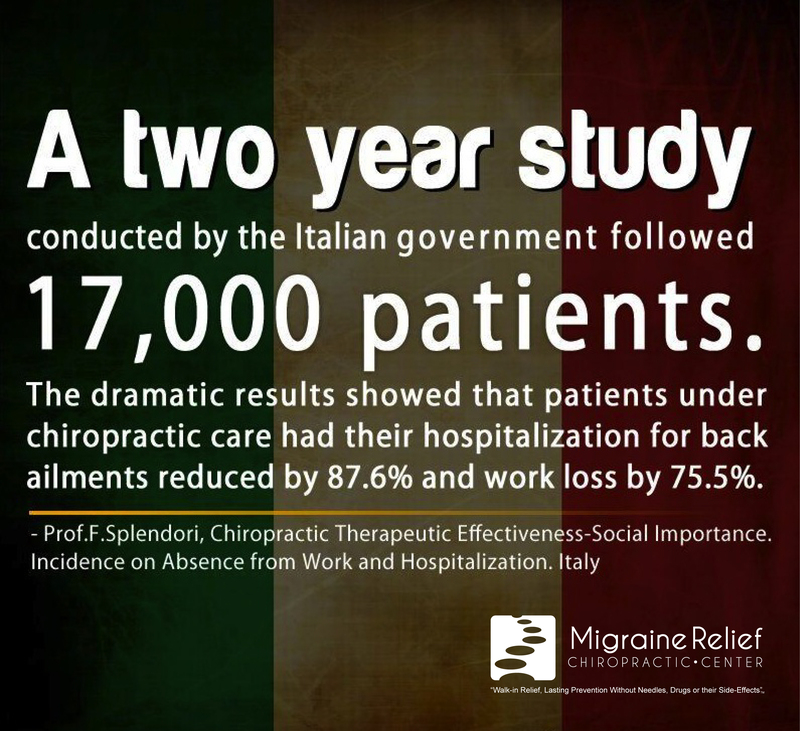 Your family and friends will benefit from chiropractic care, tell others. LINK:ALLERGIES – COVER-UP OR CURE? IN THE NEWS:Feds Vow to Publicize Vaccine Injuries Claim Program In 2011, the US Supreme Court ruled that vaccines are “unavoidably unsafe” and that the federal Vaccine Injury Compensation Program (VICP) should be the sole remedy for all vaccine injury claims. Most claims are now filed by adults suffering vaccine injury after receiving a flu vaccine. Changes to the Vaccine Adverse Event Reporting System (VAERS) are also being proposed to improve reporting efficiency and dataquality. 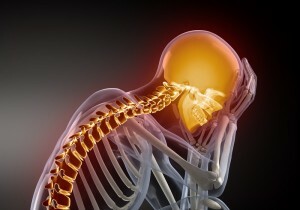 CONDITION OF THE WEEK:Sense of well-beingone of the unique effects of chiropractic adjustments is a cascade of chemical reactions that take place deep within the brain and spinal cord. These chemicals are important in our sense of well-being. Besides noticing better energy and better sleep a common response to chiropractic adjustments is patients have an increased sense of well-being. This is part of the benefits of chiropractic in the treatment of patients with addictions. Caller: “Can you give me the telephone number for Jack?”. Operator: “I’m sorry, sir, I don’t understand who you are talking about”. Caller: “On page 1, section 5, of the user guide it clearly states that I need to unplug the fax machine from the AC wall socket and telephone Jack before cleaning. 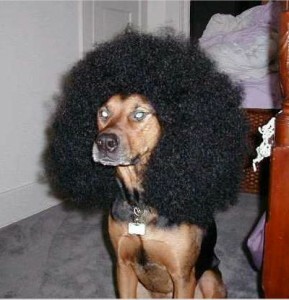 Now, can you give me the number for Jack?”. “Your hair needs protein to produce keratin, the proteins that make hair strong,” says Dr. Zeichner. Red meat is loaded with protein, and it also has another nutrient that’s important for hair and nail health: iron. Blueberries “Antioxidants help protect your body’s cells against free radical damage,” says Erin Palinski, RD Almonds Not only are almonds a good source of protein, they’re loaded with magnesium, which helps maintain healthy hair and nails. Oysters “Zinc is needed for many biological processes, including making proteins like those in your hair and nails,” explains Dr. Zeichner. Eggs are a good source of protein and contain some vitamin D, and they also have biotin. Salmon is a good source of biotin and protein, along with omega-3 fatty acids, which reduce inflammation, and promote healthy, moisturized skin. Brazil nuts Rats deficient in selenium (a trace element linked to protection against oxidative stress) have sparse hair growth, says a study in PLoS One. Just six to eight Brazil nuts meet almost 800% of your recommended daily value, according to the National Institutes of Health. IN THE NEWS: US heroin deaths double in link to prescription painkillers, says CDC The over-prescribing of painkillers is fuelling nearly 17,000 annual deaths from overdoses in the United States as well as a rise in heroin use, according to a study released by the Centers for Disease Control and Prevention on Thursday. 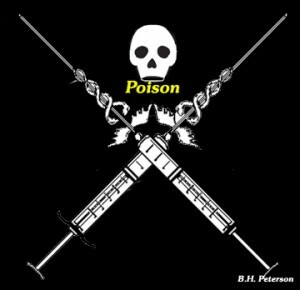 The study found that the death rate from heroin overdoses doubled during that two-year span to from 1 to 2.1 deaths per 100,000 people, while deaths from prescription opioid drugs overdoses declined from 6 to 5.6 deaths per 100,000. “The rapid rise in heroin overdose deaths follows nearly two decades of increasing drug overdose deaths in the United States, primarily driven by (prescription painkiller) drug overdoses,” the study found. CONDITION OF THE WEEK: PAIN with the increase death rate and addiction from painkillers it’s time for Americans to wake up to the fact that drugs that just cover up pain is not the same as fixing the problem. Pharmaceutical companies focus on profit not on health. Chiropractic, acupuncture, electrotherapy and nutritional therapy can get to the root cause of pain and fix it without dangerous drugs. 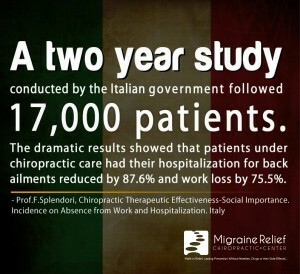 Tell a friend about chiropractic. FUNNY BONE: More “You May Be A Redneck If…” Your wedding invitations say “Same time, same place.” – You park in handicapped spaces based on your SAT score. – You love lard sandwiches. – Most of your prayers involve winning a sporting event. – You’ve ever caught bugs just so you could throw them at your bug zapper. – The flowers in your bridal bouquet were plastic. CONDITION OF THE WEEK: ELBOW PAIN from bursitis to sports injury, elbow pain is something that responds extremely well to chiropractic care. Sometimes to help support the bursa or the connective tissue nutritional therapy is an extremely good adjunct. Muscle strains can also lead to elbow pain due to improper muscle function and trigger point therapy is an excellent tool to resolve this source of elbow pain. If you or somebody you know suffers from elbow pain tell them about chiropractic. 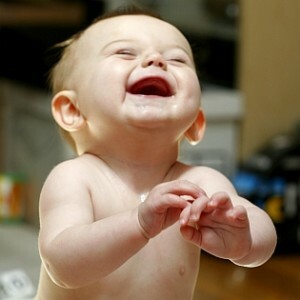 FUNNY BONE:Montana Dumb Laws – It is a felony for a wife to open her husband’s mail. – It is illegal to have a sheep in the cab of your truck without a chaperone. – Seven or more Indians are considered a raiding or war party and it is legal to shoot them. – In Montana, it is illegal for married women to go fishing alone on Sundays, and illegal for unmarried women to fish alone at all. – It is a misdemeanor to show movies that depict acts of felonious crime. – Excelsior Springs: Balls may not be thrown within the city limits. – Helena: No item may be thrown across a street. – Helena: A woman can’t dance on a table in a saloon or bar unless she has on at least three pounds, two ounces of clothing. – Salisbury: Pop bottles are not to be thrown on the ground. – Whitehall: It is illegal to operate a vehicle with ice picks attached to the wheels. WELLNESS/PREVENTION: SECRETS TO SUPER HEALTH Most of our chronic diseases develop in a pro-inflammatory chemistry. There are different reasons that our chemistry can become inflammatory for instance, eating foods that you are allergic to, allowing your system to become too acidic, eating foods that produce too much insulin, which is a pro-inflammatory hormone, becoming our 30+ pounds overweight, just to name a few. By changing this chemistry you will help prevent cancer, heart disease, arthritis, diabetes, obesity, chronic immune disorders, to name a few. 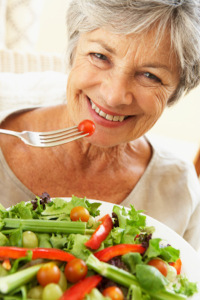 Here is a list of foods that can extend your life: All vegetables except those in the nightshade family. The nightshade family includes potatoes, tomatoes and eggplants. all fruit and berries, nuts and seeds, All foods rich in omega-3 fatty acids such as fish, flaxseeds and walnuts, legumes, moderate amounts of lean animal protein, and healthy monounsaturated fats such as those found in olive oil and avocados. Arthritis-fighting food: kippers (Omega-3) and garlic, Kippers, or smoked herring, is an excellent source of Omega-3 fatty acid and makes a great alternative to tuna. The smokiness adds a special flavor to this salad, which can be served on top of mixed greens or spread onto whole grain bread. IN THE NEWS:Half of all adults in the US have at least one chronic condition, such as diabetes, heart disease or obesity, according to a report by the Centers for Disease Control and Prevention published in The Lancet. The paper – part of a new series in the journal, ‘The health of Americans’ – says the proportion of adult Americans who have two or more of these conditions is more than a quarter. Since 1970, the amount of fast food restaurants in business doubled, which equates to about 300,000 establishments in the United States. DIET MATTERS. 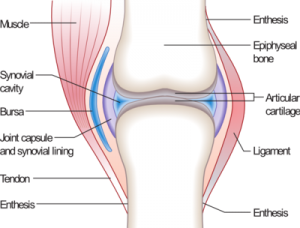 CONDITION OF THE WEEK: KNEE PAIN, knee pain can come from multiple sources: an inflammatory chemistry due to improper diet, and unresolved injury to the knee years before, improper pulling on the knee from the muscles in the upper leg due to low back misalignments, rotation of the tibia below the knee putting stress on the knee, weak arches causing the knee to rotate. A proper chiropractic evaluation can determine the source and correction of most knee problems. WELLNESS: TOXINS IN THE ENVIRONMENT MAY ACCELERATE AGING, STUDY FINDS Avoiding environmental toxins may be the key to preserving your youth, according to new research. Just as exposure to carcinogens increases a person’s risk for cancer, experts now believe a class of environmental toxins – known as gerontogens – may put people at an increased risk for accelerated aging. Toxins present in cigarette smoke, UV rays and chemotherapy are all suspected gerontogens – capable of accelerating the rate at which a person ages. “Genetic studies have taught us only 30 percent of aging is genetic, meaning the other 70 percent comes from the environment,” study author Dr. Norman Sharpless, director of the Lineberger Comprehensive Cancer Center at the University of North Carolina. CONDITION OF THE WEEK:Prospective Case Series on the Effects of Lumbosacral Manipulation on Dysmenorrhea (Painful periods) Over a 4-week period, 16 females were screened for symptoms of primary dysmenorrhea and motion restrictions of the lumbosacral spine. Thirteen subjects were enrolled into the study. Using the 95% confidence interval (CI) as an estimate, clinically meaningful changes (<5) in general abdominal pain and lower back pain were evident for most patients during the treatment phase, whereas for lower abdominal pain, the improvements were subject and cycle dependent. This prospective case series suggests the possibility that menstrual pain associated with primary dysmenorrhea may be alleviated by treating motion segment restrictions of the lumbosacral spine with a drop table technique. FUNNY BONE:A group of scientists have started attaching sensors to sharks to help predict hurricane intensity. They’re hoping the information they gather will save enough lives to offset the number of lives lost attaching sensors to sharks. 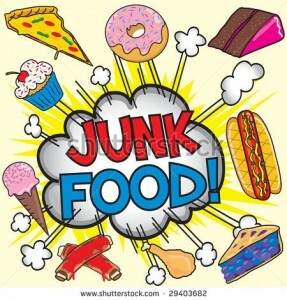 DIET: EXCESSIVE SUGAR AND LACK OF PREVENTIVE MEASURES THREATEN WORLD WITH DISASTROUS LEVELS OF HEART DISEASE AND CANCER A recent study published in the peer-reviewed journal JAMA Internal Medicine4 examined the associations between added sugar consumption and cardiovascular disease (CVD) deaths. The study did not include naturally occurring sugars in the diet, focusing only on added sugars. The study, which thankfully has met with robust media coverage, found that: Among American adults, mean percentage of daily calories from added sugar increased from 15.7 percent in 1988-1994 to 16.8 percent in 1999-2004 Mean percentage of daily calories from added sugar decreased to 14.9 percent in 2005-2010 Most adults (just over 71 percent) get 10 percent or more of their daily calories from added sugar Approximately 10 percent of American adults got 25 percent or more of their daily calories from added sugar in 2005-2010 The most common sources of added sugar are sugar-sweetened beverages, grain-based desserts, fruit drinks, dairy desserts, and candy. 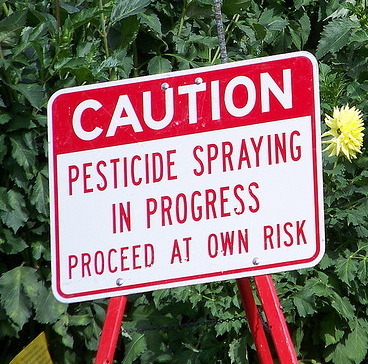 IN THE NEWS: LOW-LEVEL PESTICIDE EXPOSURE LINKED TO PARKINSON’S DISEASE The risk of Parkinson’s disease clearly increases with exposure to certain environmental toxins, such as pesticides. Pesticides, herbicides, and fungicides are potent toxicants that may cause disruptions or damage to the neurological system, including your brain. What is perhaps most concerning is that even ambient exposure to pesticides has been found to increase the risk of Parkinson’s disease considerably,and this was further confirmed by new research linking the disease to extremely low-level pesticide exposure. As we discuss inflammatory and anti-inflammatory foods we must understand the difference in body types. There were four body types that require slightly different blends of carbohydrates fat, and proteins. These can be divided into two basic groups one the high complex carbohydrate low-fat and the other being high-protein low carbohydrate. If you’re in a high complex carbohydrate low-fat group then foods like eggs, butter, salt, redmeat and some spices could be a problem. If you’re in the high protein low carb group than refined carbohydrates sugars grains could be a problem. So it’s important to know what body type you have as you review the following list of anti-inflammatory foods. Also any food that you’re allergic to can be pro-inflammatory even on the list of anti-inflammatory foods. For instance the nightshade family can be pro-inflammatory if you’re allergic to them. They include: potatoes (Solanum tuberosum), tomatoes (Lycopersicon esculentum), many species of sweet and hot peppers (all species of Capsicum, including Capsicum annum), and eggplant (Solanum melongena). Less well know, but equally genuine nightshade foods include ground cherries (all species of Physalis), tomatillos (Physallis ixocapra), garden huckleberry (Solanum melanocerasum), tamarillos (Cyphomandra betacea), pepinos (Solanum muricatum), and naranjillas (Solanum quitoense). Pimentos (also called pimientos) belong to the nightshade family, and usually come from the pepper plant Capsicum annum. Pimento cheese and pimento-stuffed olives are therefore examples of foods that should be classified as containing nightshade components. Although the sweet potato, whose scientific name is Ipomoea batatas, belongs to the same plant order as the nightshades (Polemoniales), it does not belong to the Solanaceae family found in this order, but to a different plant family called Convolvulaceae. So as you read the list of anti-inflammatory foods keep in mind that your body type might preclude some of these foods as well as your food allergies. Inflammation is one of the body’s defense mechanisms. Inflammation results in increased blood flow in response to infection and certain chronic conditions. Symptoms of inflammation include redness, swelling, pain, and heat. 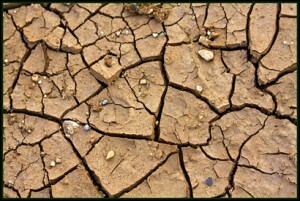 But when inflammation becomes uncontrolled then it becomes the soil for chronic disease. Besides foods, stress, obesity, toxicity and an acidic chemistry help produce uncontrolled inflammation in the body. 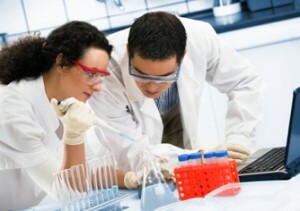 Diseases that arise from inflammatory chemistry can be the following: Autoimmune disorders, Obesity, allergies, Alzheimer’s, anemia, ankylosing spondylitis, asthma, autism, arthritis, carpal tunnel syndrome, celiac, Crohn’s disease, congestive heart failure, Chronic Fatigue Syndrome, eczema, fibromyalgia, fibrosis, gallbladder disease, Gerd, Guillain-Barré , Hashimoto’s thyroiditis, heart attack, kidney failure, lupus, multiple sclerosis, neuropathy, pancreatitis, psoriasis, polymyalgia rheumatica, rheumatoid arthritis, scleroderma, stroke, surgical complications, many other pain disorders. Minimize saturated and trans fats. Eat a good source of omega-3 fatty acids, such as fish or fish oil supplements and walnuts. Watch your intake of refined carbohydrates such as pasta and white rice. Spice it up. Ginger, curry, and other spices can have an anti-inflammatory effect. The war against illegal drug use has been going on for decades, but now it seems the “war on drugs” should have a new target… Legal drug addiction is taking lives in record numbers. 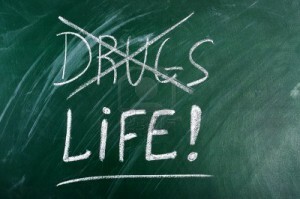 Legal drug addiction is tricky because it often starts out with a prescription obtained from a doctor. Many people find themselves addicted to painkillers before they even realize what’s happened, often after taking the drugs to recover from surgery or treat chronic back, or other, pain. 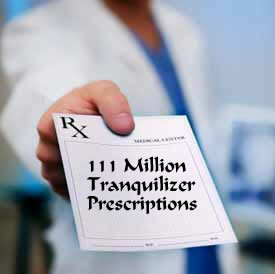 Painkillers work by interacting with receptors in your brain resulting in a decrease in the perception of pain. They are inherently addictive, as they also create a temporary feeling of euphoria, followed by dysphoria, that can easily lead to physical dependence and addiction. However, why certain people become addicted while others get by unfazed has remained a mystery. The face of drug addiction in the US and around the globe is changing. You can certainly not gauge who is an addict by looks or occupation. In fact, painkiller addiction spans all ages and walks of life. For instance, a significant number of older adults, particularly those in the baby boomer generation, are struggling with both illicit and prescription drug abuse. At the other end of the spectrum, one in four teens has misused a prescription drug at least once in their lifetime, according to survey results from the partnership at Drugfree.org and the MetLife Foundation.5 Prescription drugs don’t hold the same stigma as illegal recreational drugs, even though they can be just as deadly, leading teens to regard the former as a “safe” way to get high. And while men are still more likely to die from prescription painkiller overdose, women are quickly catching up. More than 6,600 women, or 18 women every day, died from a prescription painkiller overdose in 2010. The problem, once primarily seen in inner cities, is now spanning to rural areas, hitting people of all ethnic backgrounds and income levels, from business professionals to single mothers to retirees. Painkillers (opioids) like morphine, codeine, oxycodone, hydrocodone, and fentanyl are one of the most commonly abused drug classes. These drugs are not only addictive, they can lead to slowed breathing and death if too much is taken, and the risks are compounded if you add alcohol to the equation. Many are not aware that pain-killing drugs like fentanyl are actually 100 times more potent than natural opioids like morphine, making the addictive potential and side effects associated with prescription drug use much higher. 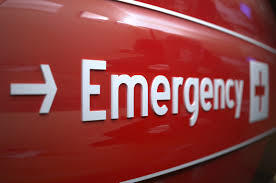 And it doesn’t always take extremely excessive use, or even very long-term use, to have a fatal overdose. “…after just a few months of taking the pills, something starts to change in the body. The effectiveness wears off, and patients typically report getting only about 30% pain relief, compared with when they started. Even more concerning, a subgroup of these patients develop a condition known as hyperalgesia, an increased sensitivity to pain. Many of those addicted to painkillers started taking the drugs not to get high, but to control pain – often back pain. The solution, then, is to avoid taking the drugs in the first place, an option many physicians neglect to offer to their pain patients. If you are suffering from pain, I suggest you work with a knowledgeable health care practitioner to determine what’s really triggering your pain, and then address the underlying cause. If you have chronic pain, try these first, before even thinking about prescription painkillers of any kind. Curcumin: In a study of osteoarthritis patients, those who added 200 mg of curcumin a day to their treatment plan had reduced pain and increased mobility.10 A past study also found that a turmeric extract composed of curcuminoids blocked inflammatory pathways, effectively preventing the overproduction of a protein that triggers swelling and pain. Bromelain: This enzyme, found in pineapples, is a natural anti-inflammatory. It can be taken in supplement form, but eating fresh pineapple, including some of the bromelain-rich stem, may also be helpful. Methods such as yoga, acupuncture, meditation, hot and cold packs, and even holding hands can also result in astonishing pain relief without any drugs. SLEEP: DETOX FOR THE BRAIN? SLEEP seems like a perfectly fine waste of time. Why would our bodies evolve to spend close to one-third of our lives completely out of it, when we could instead be doing something useful or exciting? Something that would, as an added bonus, be less likely to get us killed back when we were sleeping on the savanna? We’ve known for some time that sleep is essential for forming and consolidating memories and that it plays a central role in the formation of new neuronal connections and the pruning of old ones. But that hardly seems enough to risk death-by-leopard-in-the-night. “If sleep was just to remember what you did yesterday, that wouldn’t be important enough,” Dr. Nedergaard explains. In a series of new studies, published this fall in the journal Science, the Nedergaard lab may at last be shedding light on just what it is that would be important enough. Sleep, it turns out, may play a crucial role in our brain’s physiological maintenance. As your body sleeps, your brain is quite actively playing the part of mental janitor: It’s clearing out all of the junk that has accumulated as a result of your daily thinking. Recall what happens to your body during exercise. You start off full of energy, but soon enough your breathing turns uneven, your muscles tire, and your stamina runs its course. What’s happening internally is that your body isn’t able to deliver oxygen quickly enough to each muscle that needs it and instead creates needed energy anaerobically. And while that process allows you to keep on going, a side effect is the accumulation of toxic byproducts in your muscle cells. Those byproducts are cleared out by the body’s lymphatic system, allowing you to resume normal function without any permanent damage. The lymphatic system serves as the body’s custodian: Whenever waste is formed, it sweeps it clean. The brain, however, is outside its reach — despite the fact that your brain uses up about 20 percent of your body’s energy. How, then, does its waste — like beta-amyloid, a protein associated with Alzheimer’s disease — get cleared? What happens to all the wrappers and leftovers that litter the room after any mental workout? UNTIL a few years ago, the prevailing model was based on recycling: The brain got rid of its own waste, not only beta-amyloid but other metabolites, by breaking it down and recycling it at an individual cell level. When that process eventually failed, the buildup would result in age-related cognitive decline and diseases like Alzheimer’s. That “didn’t make sense” to Dr. Nedergaard, who says that “the brain is too busy to recycle” all of its energy. Instead, she proposed a brain equivalent of the lymphatic system, a network of channels that cleared out toxins with watery cerebrospinal fluid. She called it the glymphatic system, a nod to its dependence on glial cells (the supportive cells in the brain that work largely to maintain homeostasis and protect neurons) and its function as a sort of parallel lymphatic system. She was hardly the first to think in those terms. “It had been proposed about one hundred years ago, but they didn’t have the tools to study it properly,” she says. Now, however, with advanced microscopes and dyeing techniques, her team discovered that the brain’s interstitial space — the fluid-filled area between tissue cells that takes up about 20 percent of the brain’s total volume — was mainly dedicated to physically removing the cells’ daily waste. When members of Dr. Nedergaard’s team injected small fluorescent tracers into the cerebrospinal fluid of anesthetized mice, they found that the tracers quickly entered the brain — and, eventually, exited it — via specific, predictable routes. In a series of new studies on mice, her team discovered exactly that: When the mouse brain is sleeping or under anesthesia, it’s busy cleaning out the waste that accumulated while it was awake. In a mouse brain, the interstitial space takes up less room than it does in ours, approximately 14 percent of the total volume. Dr. Nedergaard found that when the mice slept, it swelled to over 20 percent. As a result, the cerebrospinal fluid could not only flow more freely but it could also reach further into the brain. 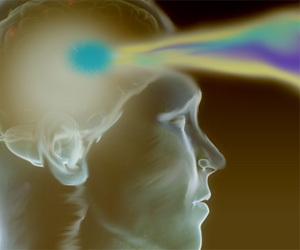 In an awake brain, it would flow only along the brain’s surface. Indeed, the awake flow was a mere 5 percent of the sleep flow. 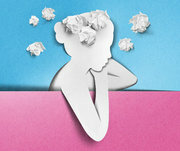 In a sleeping brain, waste was being cleared two times faster. “We saw almost no inflow of cerebrospinal fluid into the brain when the mice were awake, but then when we anesthetized them, it started flowing. It’s such a big difference I kept being afraid something was wrong,” says Dr. Nedergaard. Similar work in humans is still in the future. Dr. Nedergaard is currently awaiting board approval to begin the equivalent study in adult brains in collaboration with the anesthesiologist Helene Benveniste at Stony Brook University. MODERN society is increasingly ill equipped to provide our brains with the requisite cleaning time. The figures are stark. Some 80 percent of working adults suffer to some extent from sleep deprivation. 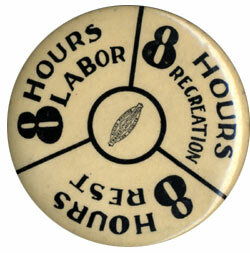 According to the National Sleep Foundation, adults should sleep seven to nine hours. On average, we’re getting one to two hours less sleep a night than we did 50 to 100 years ago and 38 minutes less on weeknights than we did as little as 10 years ago. Between 50 and 70 million people in the United States suffer from some form of chronic sleep disorder. When our sleep is disturbed, whatever the cause, our cleaning system breaks down. At the University of Pennsylvania’s Center for Sleep and Circadian Neurobiology, Sigrid Veasey has been focusing on precisely how restless nights disturb the brain’s normal metabolism. What happens to our cognitive function when the trash piles up? At the extreme end, the result could be the acceleration of neurodegenerative diseases like Alzheimer’s and Parkinson’s. While we don’t know whether sleep loss causes the disease, or the disease itself leads to sleep loss — what Dr. Veasey calls a “classic chicken-and-egg” problem — we do know that the two are closely connected. Along with the sleep disturbances that characterize neurodegenerative diseases, there is a buildup of the types of proteins that the glymphatic system normally clears out during regular sleep, like beta-amyloids and tau, both associated with Alzheimer’s and other types of dementia. “To me,” says Dr. Veasey, “that’s the most compelling part of the Nedergaard research. That the clearance for these is dramatically reduced from prolonged wakefulness.” If we don’t sleep well, we may be allowing the very things that cause neural degeneration to pile up unchecked. Even at the relatively more benign end — the all-nighter or the extra-stressful week when you caught only a few hours a night — sleep deprivation, as everyone who has experienced it knows, impedes our ability to concentrate, to pay attention to our environment and to analyze information creatively. 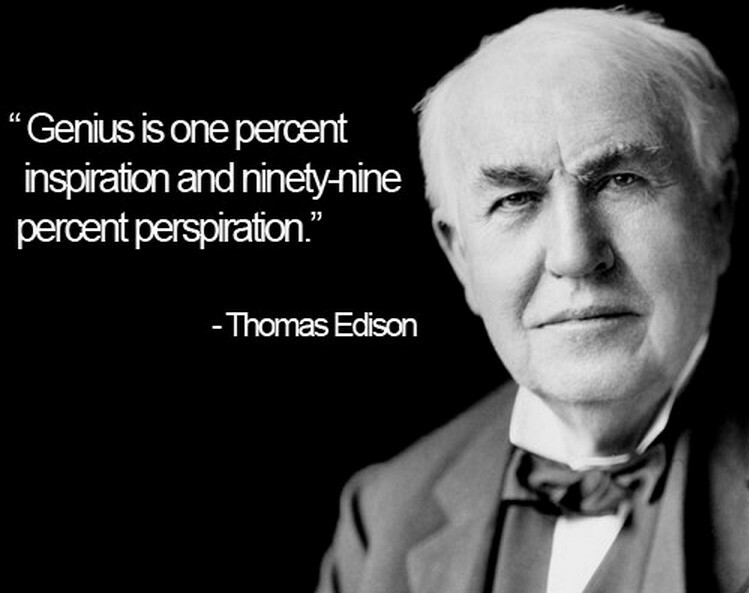 “When we’re sleep-deprived, we can’t integrate or put together facts,” as Dr. Veasey puts it. But there is a difference between the kind of fleeting sleep loss we sometimes experience and the chronic deprivation that comes from shift work, insomnia and the like. In one set of studies, soon to be published in The Journal of Neuroscience, the Veasey lab found that while our brains can recover quite readily from short-term sleep loss, chronic prolonged wakefulness and sleep disruption stresses the brain’s metabolism. The result is the degeneration of key neurons involved in alertness and proper cortical function and a buildup of proteins associated with aging and neural degeneration. It’s a pernicious cycle. We work longer hours, become more stressed, sleep less, impair our brain’s ability to clean up after all that hard work, and become even less able to sleep soundly. And if we reach for a sleeping pill to help us along? While work on the effects of sleeping aids on the glymphatic system remains to be done, the sleep researchers I spoke with agree that there’s no evidence that aided sleep is as effective as natural sleep. There is, however, reason to hope. If the main function of sleep is to take out our neural trash, that insight could eventually enable a new understanding of both neurodegenerative diseases and regular, age-related cognitive decline. By developing a diagnostic test to measure how well the glymphatic system functions, we could move one step closer to predicting someone’s risk of developing conditions like Alzheimer’s or other forms of dementia: The faster the fluids clear the decks, the more effectively the brain’s metabolism is functioning. We can also focus on developing earlier, more effective interventions to prevent cognitive decline. One approach would be to enable individuals who suffer from sleep loss to sleep more soundly — but how? Dr. Nedergaard’s mice were able to clear their brain’s waste almost as effectively under anesthesia as under normal sleeping conditions. “That’s really fascinating,” says Dr. Veasey. Though current sleeping aids may not quite do the trick, and anesthetics are too dangerous for daily use, the results suggest that there may be better ways of improving sleep pharmacologically. Now that we have a better understanding of why sleep is so important, a new generation of drug makers can work to create the best possible environment for the trash pickup to occur in the first place — to make certain that our brain’s sleeping metabolism is as efficient as it can possibly be. A second approach would take the opposite tack, by seeking to mimic the cleanup-promoting actions of sleep in the awake brain, which could make a full night of sound sleep less necessary. To date, the brain’s metabolic process hasn’t been targeted as such by the pharmaceutical industry. There simply wasn’t enough evidence of its importance. In response to the evolving data, however, future drug interventions could focus directly on the glymphatic system, to promote the enhanced cleaning power of the sleeping brain in a brain that is fully awake. One day, scientists might be able to successfully mimic the expansion of the interstitial space that does the mental janitorial work so that we can achieve maximally efficient round-the-clock brain trash pickup. IN THE NEWS: YOUNG ADULTS ‘DAMAGE DNA’ WITH WEEKEND ALCOHOL CONSUMPTION The National Institute on Alcohol Abuse and Alcoholism states that around four out of five college students in the US drink alcohol and 1,825 college students between the ages of 18 and 24 die each year as a result of unintentional alcohol-related injuries. An experiment, called the comet test, was conducted to see whether the participants’ DNA was also affected by alcohol consumption. This involved taking out the nucleus of lymphocytic cells in the blood and putting it through electrophoresis. The experiment revealed that the group who consumed alcohol showed significantly bigger comet tails in the electrophoresis, compared with the group that did not drink alcohol. In detail, 8% of cells were damaged in the control group, but 44% were damaged in the drinking group. This means the drinking group had 5.3 times more damage to their cells. WELLNESS: THE MANY HEALTH BENEFITS OF AVOCADOS Avocados have a long list of potential health benefits. For example, besides its anti-inflammatory properties, previous research from Japan suggests this powerful fruit may also help protect against liver damage. Due to its beneficial raw fat content, avocado enables your body to more efficiently absorb fat-soluble nutrients (such as alpha- and beta-carotene and lutein) in other foods eaten in conjunction. 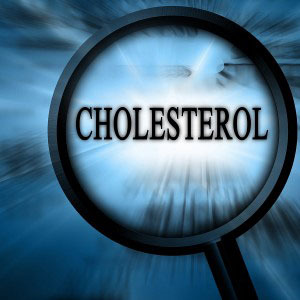 Contain compounds that appear to inhibit and destroy oral cancer cells Can help improve lipid profiles in both healthy individuals and those with non optimized HDL/ total cholesterol levels). In one study,8 healthy individuals saw a 16 percent decrease of serum total cholesterol level following a one-week long diet high in monounsaturated fat from avocados. In those with elevated cholesterol levels, the avocado diet resulted in a 17 percent decrease of serum total cholesterol, and a 22 percent decrease of both LDL-cholesterol and triglycerides, along with an 11 percent increase of the so-called “good” HDL cholesterol. CHIROPRACTIC: IMPROVEMENT IN HEARING AFTER CHIROPRACTIC CARE: A CASE SERIES CASE PRESENTATION: Fifteen patients are presented (9 male, 6 female) with a mean age of 54.3 (range 34-71). A Welch Allyn AudioScope 3 was used to screen frequencies of 1000, 2000, 4000 and 500 Hz respectively at three standard decibel levels 20 decibels (dB), 25dB and 40dB, respectively, before and immediately after the first chiropractic intervention. Several criteria were used to determine hearing impairment. Ventry & Weinstein criteria of missing one or more tones in either ear at 40dB and Speech-frequency criteria of missing one or more tones in either ear at 25dB. All patients were classified as hearing impaired though greater on the right. At 40dB using the Ventry & Weinstein criteria, 6 had hearing restored, 7 improved and 2 had no change. At 25dB using the Speech-frequency criteria, none were restored, 11 improved, 4 had no change and 3 missed a tone. Most people understand that preventing disease makes a lot more sense than trying to recover from a chronic disease process. We hear a lot about prevention but most of us feel overwhelmed and are doing very little to protect our health. It’s true there are a lot of voices sometimes telling as contradictory things to do to maintain our health. Which one do you follow? Unfortunately a large percentage of the population feels frustrated and end up doing very little to nothing. At Keefe Clinic we attempt to stay balanced and offer direction that is attainable. Eating properly, most people realize that’s important yet are unsure what that fully means. We all know exercise is important but sometimes finding the time can be difficult. Rest and relaxation or stress management is something we all understand is important to reduce the potential of health problems. Positive mental and spiritual attitudes we’ve heard is important. 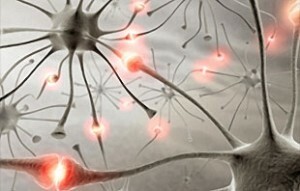 A healthy nervous system is one most of us are totally in the dark about. These five components are what we call the five laws of health. We have a pamphlet on each one of these components if you’re interested in further study. 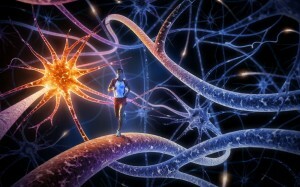 What does it mean to have a healthy nervous system? Did you know your nervous system controls and coordinates everything in your body? Did you know your stomach could not digest food properly if the nervous system was not regulating and controlling it? Did you know that your heart would beat erratically if the nervous system was not controlling and coordinates it. Did you know without your nervous system’s proper function you couldn’t even sleep, breathe, move are have a normal existence? We don’t hear much about the importance of the nervous system, frankly because there’s no pharmaceutical drug to make the nervous system function properly in each of these areas. Your ability to be aware of yourself and your environment, to be able to think or reason is dependent on a properly functioning nervous system. Even to have a healthy sense of well-being depends on a cascade of chemical reactions that take place within a healthy nervous system. In a sense, physically, you are your nervous system. I don’t mean that you’re just physical; I mean that your ability to be self-aware is a function of your central nervous system. So doesn’t it make sense that if you take care of your nervous system, then you take care of your health? And did you know that the most common stress to your nervous system is misalignments of your neck and back? Initial care for these misalignments is an intensive program of adjustments to obtain maximum balance to the spine. But due to the limitations of matter and malformations due to genetic weaknesses, a perfect spine is not possible. 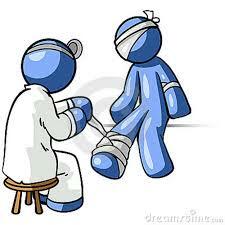 So after a corrective program we recommend some type of ongoing care. Though each patient is responsible for determining how they’re going to take care of their health we have recommendations that we encourage patients to consider. One of those is our once a week wellness program. After a corrective program the problems that are corrected tend to stay corrected unless you hurt that section again. The problems that are left in the spine are usually related to subtle malformations that don’t allow certain joints to completely lock in place. These joints are particularly sensitive to the normal stresses and strains that we put our bodies through on a 24-hour basis. Coughing, sneezing, sitting postures or poor sleeping postures are just a few of the stresses that our bodies deal with everyday. Add to that a lack of regular exercise, faulty diets and the effects on nerves and muscles of stress. These factors can cause the loss of alignment and a buildup of stress (without pain) on the nerves that are responsible for controlling our bodies. 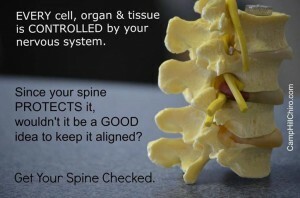 The more often that you line up your spine the less stress that will be on your nervous system. The more that your nervous system is free of stress the higher energy level that you’ll experience. Your resistance will be higher, in fact it has been shown that chiropractic patients who get regular chiropractic care have an immune system that functions 200% more effectively than the average person’s on the street. THE RELATIONSHIP BETWEEN POSTURE AND HEALTH Roger Sperry,Ph.D. (Nobel Prize in Physiology or Medicine 1981) discovered that 90% of the brain’s activity is used to balance your body within the gravitational field of earth. If your body is mechanically distorted, it will affect the other 10% of the brain’s activity, which controls all the other body functions such as breathing, digestion and cognition. 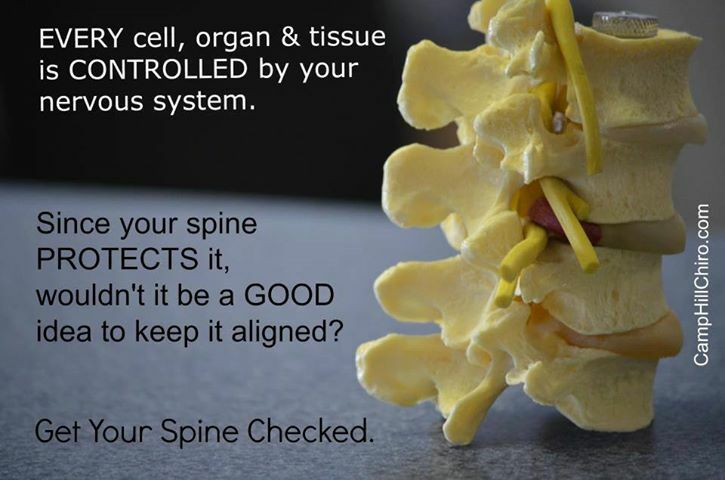 If the body framework (bone structure and spine) is misaligned it can impede or block the electrical and chemical transmissions of the nervous system, which controls all of your body’s functions. This interference to the nervous system can cause or contribute to all kinds of symptoms and illnesses (in other words, the feeling that “I am hurting or I am sick”). Published research studies indicate that when body balance is restored, the body enters a healing cycle that alleviates pain and symptoms, elevates the immune system, increases blood and oxygen circulation, normalizes nervous system communication and creates more optimum body performance (“I feel good again”). A recent study indicated patients who receive regular chiropractic care have a higher sense of well-being and a greater ability to cope with stress. 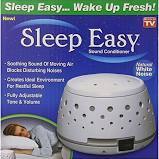 Your body will be more relaxed and thus sleep better. Better sleep will lead to a sharper mind and higher energy levels. Pretty soon you have an increasing domino effect toward better and better health. 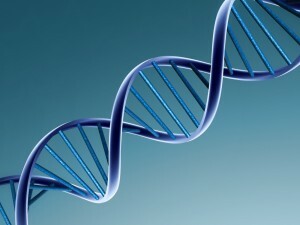 CHIROPRACTIC CARE AND DNA REPAIR. Patient satisfaction has always driven chiropractic acceptance. Several surveys covering thousands of chiropractic participants have shown quantitative benefits to periodic long term care. They include reduced use of health care services (including hospitalizations and prescription drugs) and better sense of well-being even for seniors over 75 years of age. Geneticists in the area of ecogenetics have periodically looked at chiropractic since the late 1970s as a potential source of reducing what was called mutagen sensitivity back then. Thiol is one of the chemicals your body makes to repair damage to your DNA. 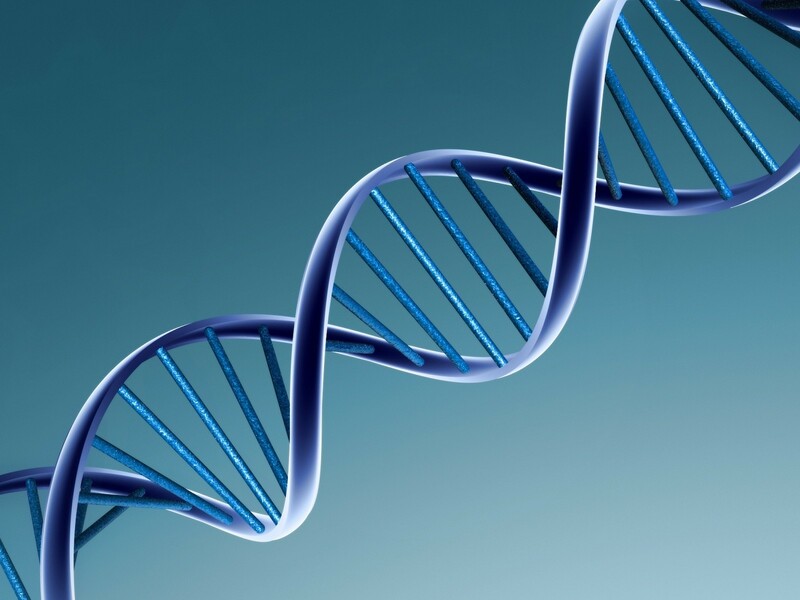 A study of regular chiropractic patients in 2005 showed an increase in this DNA repair chemical compared to the general public. DNA damage leads to disease even cancer and early death. This is one of the reasons we recommend wellness care. Chiropractic helps keep your DNA healthy. But hang on: in the long-term chiropractic treatment group, the average level was 146. It was significantly higher than the control group’s average of 124. And the ill group of 90. DRUGS CAN’T DO THAT. I believe in wellness care and have followed once a week adjustments for over 40 years. I can tell you from personal experience it makes a huge difference. That’s why we offer a 50% discount to encourage patients to choose the highest level of health. You can decide to come in less often. Or you can decide to wait until your body hurts or have some other symptom before you seek care. The choice is yours. We hope you pick wellness. And quite frankly so does your body. Your health is your responsibility. Good choices or bad choices, you have to pay the Piper.